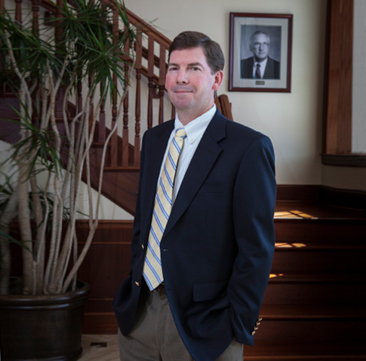 Stephen French is experienced in trial and appellate advocacy with a focus primarily on commercial litigation. He represents corporate and individual clients in both state and federal courts in matters involving construction litigation, contract disputes, and design professional malpractice defense. Mr. French has also handled litigation concerning labor and employment issues, land use litigation, regulatory takings, eminent domain, medical malpractice defense and collection of judgments. In addition, Mr. French has handled numerous alternative dispute resolution matters, including formal arbitrations. Mr. French has served as a guardian ad litem for minors in custody disputes and been involved in several community and social organizations, including: St. John’s Episcopal Church (elected Vestry member); Berkeley Preparatory School (Class Agent and board member of Alumni Executive Committee); Washington and Lee University (Alumni Chapter President and Alumni Board member); St. John’s Episcopal Parish Day School (Chairman of Board of Trustees); Boys’ Initiative (board member); Ye Mystic Krewe of Gasparilla (Charitable Relations Committee member); and Under Armour and i9 Flag Football Head Coach. Mr. French was born in Atlanta, Georgia and raised in Tampa, Florida. Stephen and his wife, Kimberly, have a daughter, Bradley, and a son, Carter.